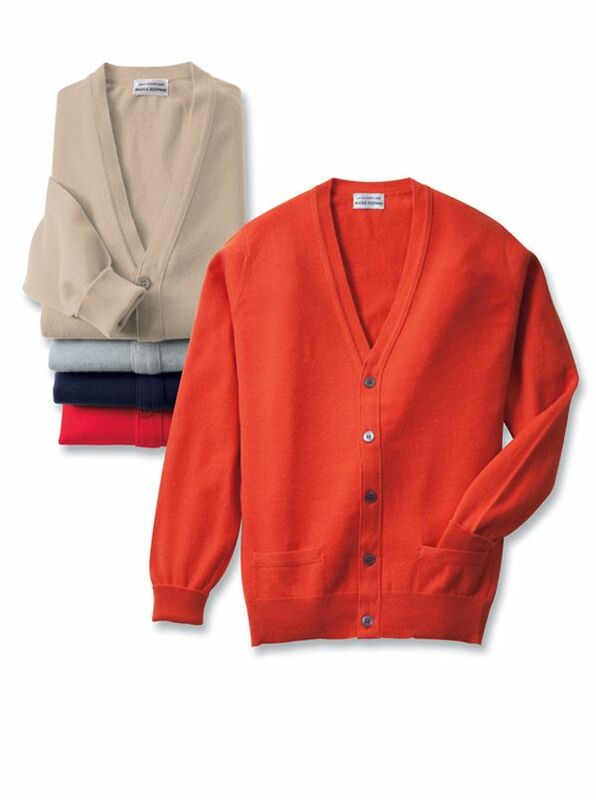 Cashmere Long-Sleeve Cardigans add luxurious softness to this menswear favorite. Lightweight single-ply cashmere with two pockets grosgrain band inside placket for shape retention. Some say its the water used for the washing. Others point to the mix of innovation and traditional craftsmanship in spinning and knitting. But while the reasons may be arguable we know the results are not: cashmere spun and knitted in Scotland is the worlds best. Soft lustrous long-wearing it is second to none.